Storing data in the cloud has a variety of benefits--most notably that it makes the data conveniently accessible from virtually anywhere and easy to share data without sending huge file attachments via email. Those perks come with some consequences as well, though, because storing data in the cloud exposes it to greater risk, and sharing it with others places it out of your control. Younity has a different approach. Younity recently added a new feature that allows you to share photos, music, videos, documents, and any other data indexed by the app with other Younity users. The shared data, however, can’t be permanently downloaded, and you have the ability to “unshare” and revoke access at any time. By default, access to the shared data expires after seven days. Shared data will automatically expire, and access can be revoked. I’ve been a fan of Younity since the app first came out. Entangled Media—the developers of Younity—have managed to address a variety of needs in one elegant app. It gives you access to your data from your mobile devices without the need to upload and sync your files and without exposing your data to any additional risk. There are plenty of cloud storage services that enable you to store data where it can be easily accessed from a mobile device or via the Web. However, most of those services require that you remember to store the data in the correct folder to be synced or have the foresight to upload it before you need it. Storing data in the cloud on servers that are managed by a third-party vendor also introduces security and privacy concerns. Younity doesn’t actually copy or store any of your data. You install the software on your Windows or Mac OS X PC, and Younity indexes and catalogues the data. All of your files stay where they are—safely on your PCs, but the Younity app on iPhone or iPad can access the data from anywhere. You can stream music, watch movies, view photos, or access documents and spreadsheets directly from your PC. 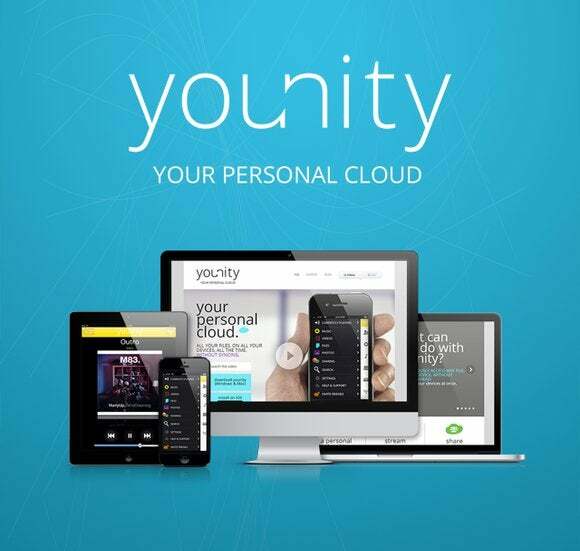 Younity also integrates with services like SkyDrive, Google Drive, and Dropbox. The benefit of this approach is that even Entangled Media personnel have absolutely no ability to access your files. One minor down side is that you have to leave your PCs on and connected to the Internet in order for the Younity app on your mobile device to be able to access and retrieve the data. The Younity software and Younity app are completely free…for now. Erik Caso, founder and CEO of Entangled Media, plans to change to a freemium model in the future. Younity was already a service worth checking out, and one that I highly recommend. The new file sharing capabilities just make it that much better.